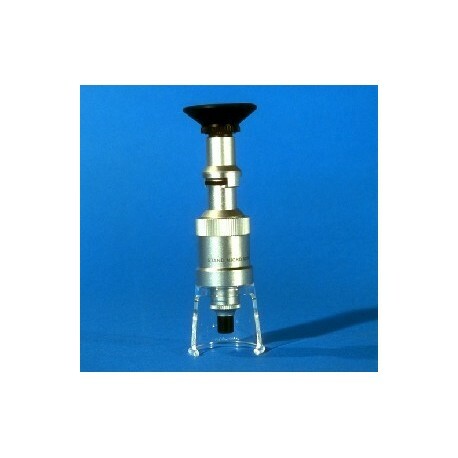 The V SERIES 100X MICROSCOPE provides magnification to 100 power. Free-standing with open base to easily accommodate materials to be viewed. Superior lens group assures clear image with flat field of view. Cushioned hard shell case provided. 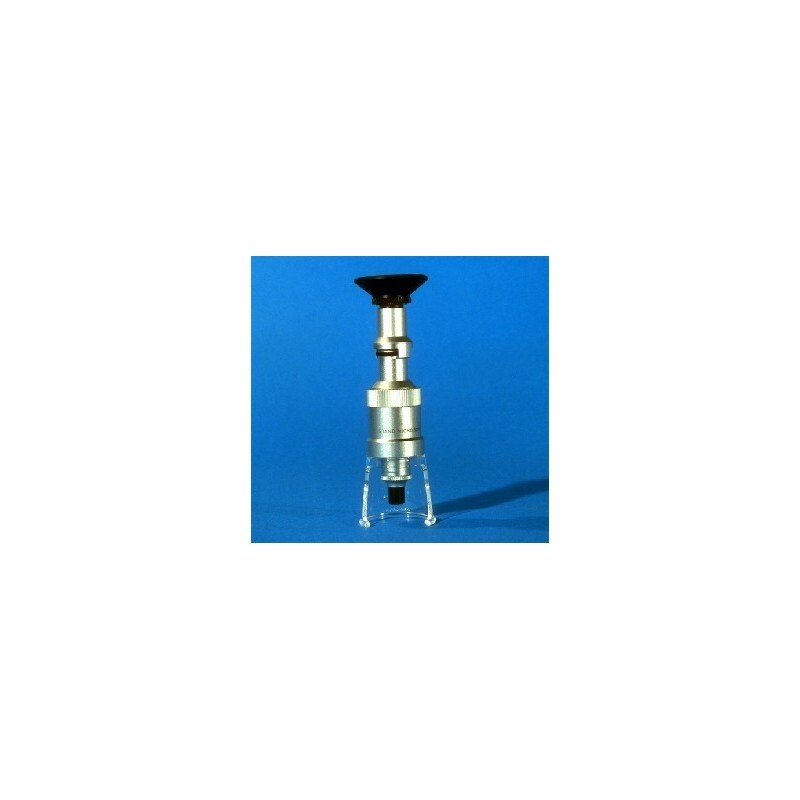 Lens Diameter: 1/4". Dimensions: 5"H x 1-5/8"D at base.